As far as wardrobe staples go, the tuxedo jacket is a bastion of timeless style, forming the cornerstone of one of the last rigid dress codes we sartorially inclined men must adhere to. The black tie tuxedo may be the norm when it comes to the majority of formal events, but in recent years it has broken through these stiff barriers and demonstrated itself to be a versatile wardrobe weapon. Capable of working equally well in a more casual setting, the tuxedo jacket is now as comfortable paired with sleek satin striped trousers as it is with well-fitting denim. Today, we aim to showcase the full range of looks that the tuxedo jacket has to offer, for those men willing to take a more modern approach with this tried and tested black tie favourite. A black tuxedo jacket paired with accompanying trousers is a shining example of sleek, timeless style. The formal attire of choice for style icons from the red carpet to the silver screen, this evening wear coupling is the very definition of debonair. 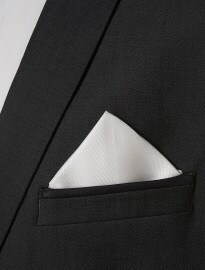 Break up the dark backdrop of the suit with a crisp white dinner shirt; bib detailing is essential. Accessorise with an ever dapper bow tie and pocket square combination. In previous years a cummerbund would have been de rigueur, however, nowadays it’s a far more optional addition. Footwear wise, you can’t go wrong with classic black patent leather. Suede slippers are a bolder option but nonetheless one definitely worth considering. Mix up this formalwear favourite by opting for a bold coloured version, sharp accessories and dandy-esque footwear selection. A burgundy tuxedo is a solid option, particularly as the tone has enjoyed a meteoric rise in tailoring over the last year. 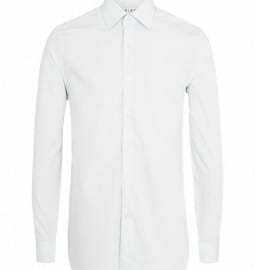 Keep the shirt nice, simple and, above all, plain white. This provides a neutral canvas to which you can add individuality through your choice of tie. A printed version is both on trend and makes for a great focal point alongside the suit – just be wary not to clash your suit with the tie; it’s all about understanding your basic colour principles. Add a pocket square and finish off with some velvet slippers. Pair your tuxedo jacket with the ultimate definer of casual wear – denim. The contrast between the sleek blazer and rugged jean is vast, so keep them as smart as possible: dark wash, slim cut, well-fitting denim is the best way to go about this. Dark indigo is a firm FashionBeans’ favourite and well worth considering here. A simple patterned shirt is a great middleman and keeps the outfit on the right smart-casual balance. Stylish loafers again reinforces this dressed down aesthetic while a pocket square is an optional accessory to swing it either way – at this point it’s down to personal preference. Introduce colour to what is usually a muted affair with some bold trousers. 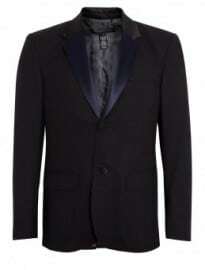 Look to either contrast or complement the (likely) dark tuxedo jacket, allowing them to become the true focal point. 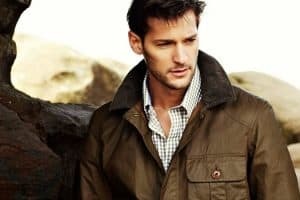 Equally, you could tone the look down with more refined, autumnal inspired hues – think burgundy, camel or olive. In this instance, we’ve opted to pair the blazer with some slightly more vibrant trousers than you would expect to be found alongside this classic item. A simple t-shirt underneath the blazer is the way forward here – the trousers and the jacket are enough of a statement when the ethos is casual. 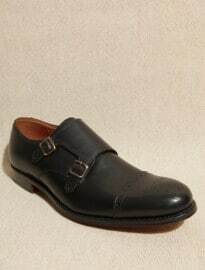 Keep the shoes simple; double-monks have enjoyed a moment over the last year and going into 2013 they show no sign of waning. Even in its habitual setting, the top half of your most ceremonial outfit should reveal more about you as a man than any other ensemble. However you choose to wear your jacket, whether you adhere to tradition or give it a contemporary spin, ensure the essence of black tie remains. 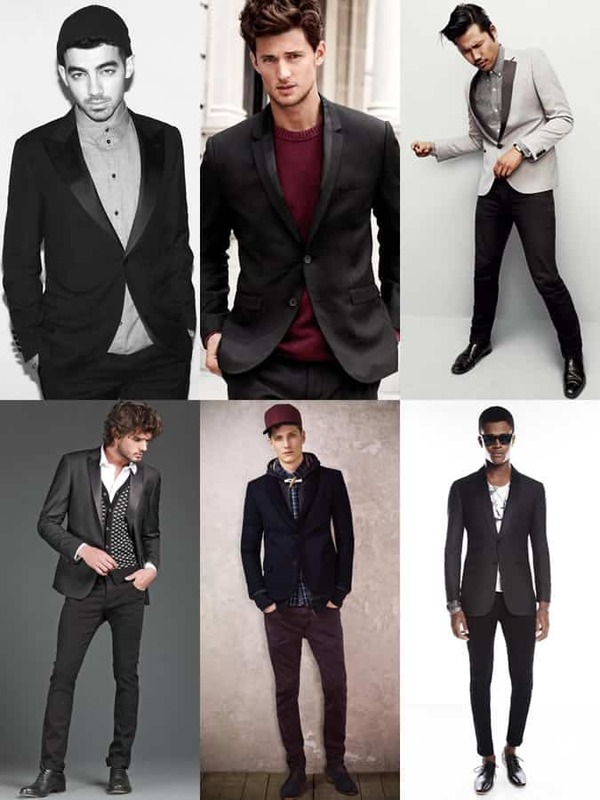 What is your take on dressing down the tuxedo? How would you style it in a casual manner? How about a more traditional formal take?